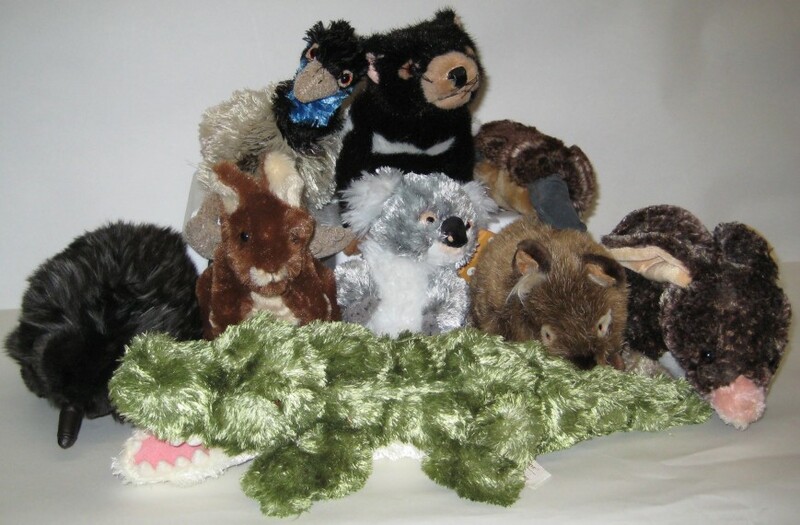 A set of seven Australian animals toys. The best quality toys we were able to find. All fit in the same size range - 16-20cm / 6-8in. Bilby - the second toy from the left - is no longer available. A tree frog for dinner! 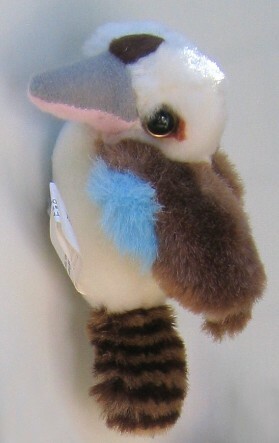 A choice of canned Australian animals - soft toys sealed in a standard size can. 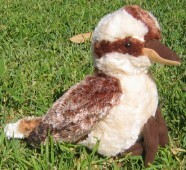 Platypus, Kangaroo, Koala, Crocodile, Green Tree Frog, Wombat, Echidna, Kookaburra, Possum, etc. 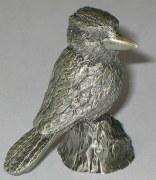 This detailed figurine of kookaburra is made of Australian pewter in Tasmania. Bronze lapel / hat kookaburra pins. I'm non-allergic, non-toxic, color safe and can be cleaned with a sponge and warm water. 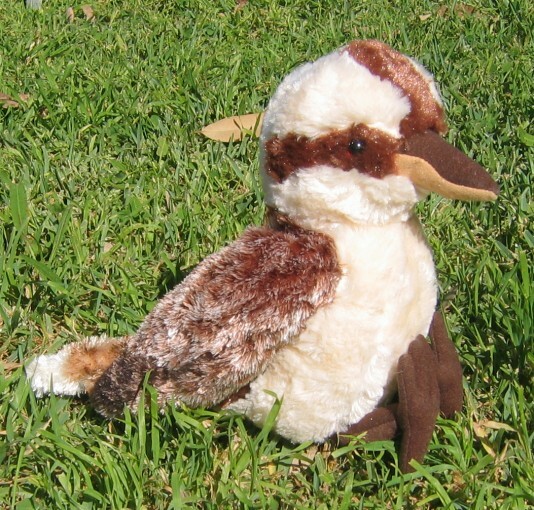 I'm the best kookaburra you've ever hugged.